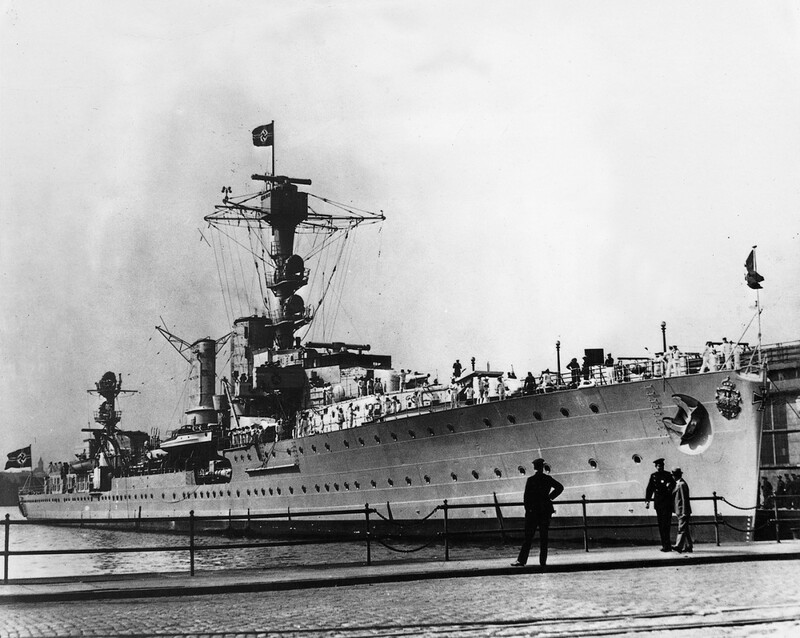 Completed in January 1925, the light cruiser Emden was the first medium-sized German warship built after World War I. Originally a coal-burning vessel, she was intended primarily for overseas service and consequently had a large bunker capacity; particular attention was paid to accommodation space and crew comfort, something of a novelty at that time. Her first mission in World War II was to lay mines in the North Sea, and, in April 1940, she was one of the warships that accompanied the Blücher during the invasion of Norway. Though this operation was a costly affair in terms in shipping, she survived and was later transferred to the Baltic and saw considerable operational service there, initially operating as part of a powerful task force that included the new battleship Tirpitz and later operating as a mine warfare training vessel. In late 1944 and early 1945 she was involved in evacuating troops and civilians from East Prussia in the face of the Russian advance; one of her more unusual tasks, in January 1945, was to evacuate the coffin containing the body of Field Marshal von Hindenburg, which had been interred at the Tannenberg Memorial, from Königsberg. In April 1945 Emden was damaged in a bombing attack on Kiel. She was scuttled and broken up in 1949.